drug recently advancing to phase II trials is GKT-137831, a NOX1 and NOX4 inhibitor from GenKyoTex being developed for diabetic nephropathy, the leading cause of chronic kidney disease in the US and Europe. GKT137831 is a selective NOX1/4 inhibitor in Phase II clinical development for the treatment of diabetic nephropathy, one of the complications of diabetes. It is a potent, NOX specific, small molecule with good oral availability. Data from the Phase 1 programme to assess safety and exposure to single and multiple oral doses of GKT137831 was presented at the ASN Kidney week in San Diego in 2012. More than 100 subjects have been exposed to GKT137831 and the drug was well tolerated with no serious adverse events. In summer 2013, the FDA approved the IND to allow commencement of the Ph2 PoC trial of GKT137831 in diabetic nephropathy. Subsequently, approvals have been received from the competent authorities in Australia, Canada, Germany, Czech Republic and Poland. Enrollment to this study is ongoing and data is expected in H1 2015. Genkyotex, the leading developer of selective NOX enzyme inhibitors, announced today the publication of data showing that GKT137831, a first in class NOX1 and 4 inhibitor, was able to reverse lung fibrosis associated with aging in a new model of idiopathic pulmonary fibrosis. Collaborators led by Professor Victor Thannickal at the University of Alabama at Birmingham published the results in the April 9, 2014 issue of Science Translational Medecine. Genkyotex is investigating GKT137831 in a Phase II trial in patients with diabetic nephropathy, another progressive fibrotic disease. Genkyotex, the leading developer of selective NOX enzyme inhibitors, announced today that data from a group of academic collaborators demonstrated that NOX4 is an important driver of kidney injury in diabetes and that its novel, first in class NOX 1 and 4 inhibitor, GKT137831, has the potential to prevent or delay the development of diabetic nephropathy. Data were presented at the American Society of Nephrology’s Kidney Week 2013 in Atlanta and have been accepted for publication in the Journal of the American Society of Nephrology (JASN). Genkyotex attended the American Society of Nephrology Annual Meeting during Kidney week in Atlanta GA.
November 7th to 10th, 2013. Genkyotex attended the American Society of Nephrology Annual Meeting during Kidney week in Atlanta, GA. Ursula Ney, CEO, Philippe Wiesel, CMO, and the clinical team attended. Presentations from the Ancillary meeting held on 8th November can be found here. Genkyotex, the leading developer of selective NOX enzyme inhibitors, announced today the initiation of a multinational Phase II clinical study of GKT137831 in patients with diabetic nephropathy. GKT137831 is a first in class inhibitor targeting NOX1 and NOX4 enzymes, both of which play a key role in the development of diabetic complications and chronic kidney disease in particular. In phase I studies in more than 100 subjects, GKT137831 was found to be safe and well tolerated when administered orally once and twice daily. Genkyotex, the leading developer of NOX enzyme inhibitors, announced today that a group of collaborators have discovered a link between the enzyme NOX4 and development of osteoporosis. These results, published online in the Journal of Clinical Investigationdoi:10.1172/JCI67603), indicate that inhibitors of NOX4, such as GKT137831 developed by Genkyotex could lead to a novel way of treating patients with osteoporosis. GKT137831, the first in class NOX1 and 4 inhibitor, has shown favorable safety and pharmacokinetic profiles in Phase I studies, and following a recently FDA approved IND will enter a Phase II trial in patients with diabetic nephropathy. Genkyotex, the leading developer of NOX enzyme inhibitors, announced today that the U.S. Food and Drug Administration has approved the company’s Investigational New Drug (IND) application to begin a Phase II clinical study of GKT137831 in patients with diabetic nephropathy. 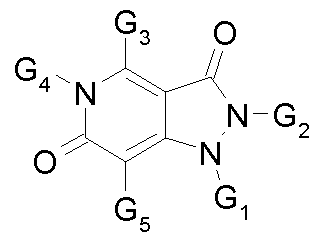 GKT137831 is a first in class inhibitor targeting NOX1 and NOX4 enzymes. Enrollment of patients into the multinational Phase II study is expected to begin during Q4, 2013. Genkyotex, the leading developer of NOX inhibitors to treat oxygen-radical mediated diseases, announced today that its collaborators at the Baker IDI Heart & Diabetes Research Institute, Melbourne (Australia) and Maastricht University (The Netherlands) have elucidated the role of NOX1 in causing atherosclerosis in diabetic mice. The researchers found that NOX1 produces toxic amounts of oxygen radicals in the wall of blood vessels, which along with other inflammatory chemicals led to atherosclerotic plaque development. The researchers also demonstrated that Genkyotex’s selective NOX1 and 4 inhibitor, GKT137831, was able to dramatically reduce development of atherosclerosis. The research and accompanying editorial from Dr. David G. Harrison from Vanderbilt University was published in May 7th issue ofCirculation. Genkyotex, the leading developer of NOX inhibitors to treat oxygen-radical mediated diseases, today announced that the United States Patent and Trademark Office (USPTO) has issued a Notice of Allowance for U.S. Patent Application No. 12/532,336, titled “pyrazolo pyridine derivatives as NADPH oxidase inhibitors”. Genkyotex, the leading developer of NOX inhibitors to treat oxygen-radical mediated diseases, announced today that Phase I studies have demonstrated excellent safety and tolerability following single and multiple oral doses of GKT137831, the first in class NOX 1 and 4 inhibitor. 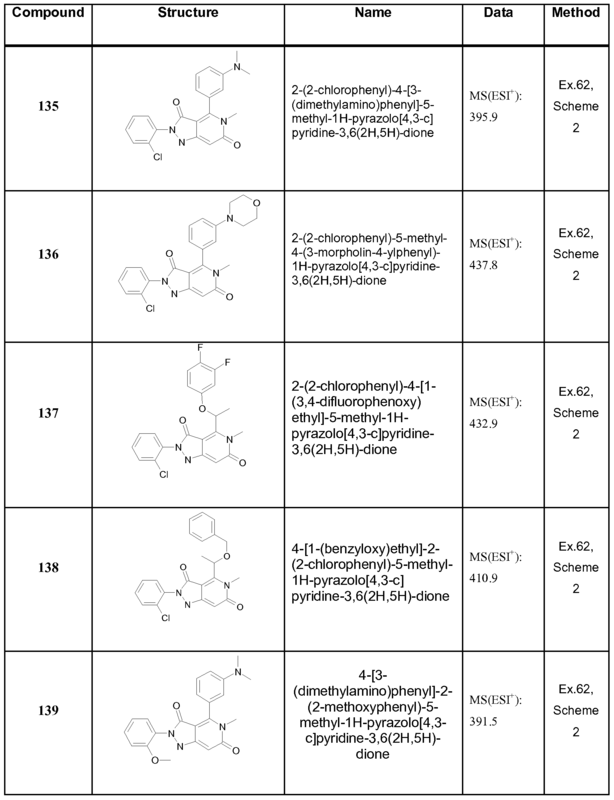 In addition, GKT137831 demonstrated a favourable pharmacokinetic profile in these subjects. Genkyotex will present data from single and multiple dose Phase I studies with the NOX 1 and 4 inhibitor, GKT137831, at Kidney Week 2012 (San Diego, October 30 – November 4). The Phase I data will be presented on Friday, November 2, 2012, 10.00 AM -12.00 PM (PosterBoard# FR-PO831; Abstract# 2279). Genkyotex, with collaborator Professor David Brenner, M.D., Dean, School of Medicine, University of California San Diego, has published data online in Hepatology regarding its lead (NOX) inhibitor, GKT137831, in models of liver fibrosis, a scarring process associated with chronic liver disease that can lead to loss of liver function. The data demonstrates the specificity of GKT137831 and its ability to attenuate development of fibrosis in the liver and production of reactive oxygen species (ROS) in two models of disease, as well as inhibiting messenger RNA expression of fibrotic and NOX genes. Genkyotex closes CHF25 million (USD26 million) extension to its Series C financing. Investors in the Series C round, including Eclosion, Edmond de Rothschild Investment Partners, Vesalius Biocapital Partners, MP Healthcare Venture, all participated in the financing extension. The proceeds will be used to advance clinical development of Genkyotex’s lead compound, the NOX1/4 inhibitor GKT137831, through Phase II development for the treatment of diabetic nephropathy. GenKyoTex, the leading developer of NOX inhibitors to treat oxygen-radical mediated diseases, announced today that a Phase I study has been initiated with GKT137831, a first in class dual inhibitor of NOX1 and NOX4 enzymes. GenKyoTex raises CHF 18 million in a Series C Venture Financing to develop NOX enzyme inhibitors. Genkyotex announced today that its lead clinical candidate GKT137831 has been granted the orphan drug status by the European Commission for the treatment of idiopathic pulmonoary fibrosis. Genkyotex announced today having received a letter from FDA dated of 21st September 2010, granting Genkyotex Orphan Drug Designation of GKT137831 for the treatment of Idiopathic Pulmonary Fibrosis (IPF).